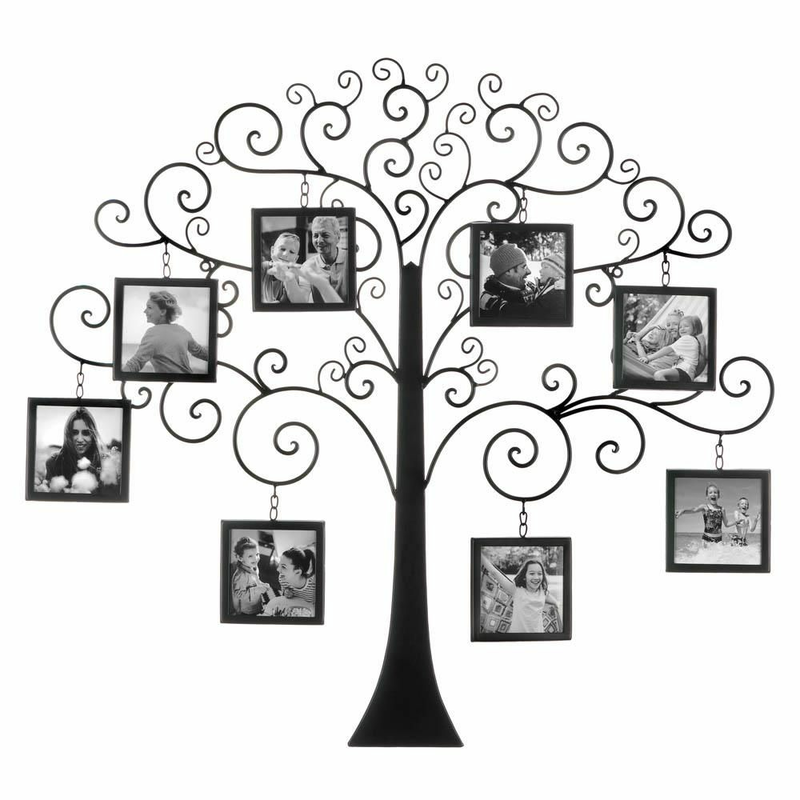 Proudly display your family's history with this beautiful family tree. 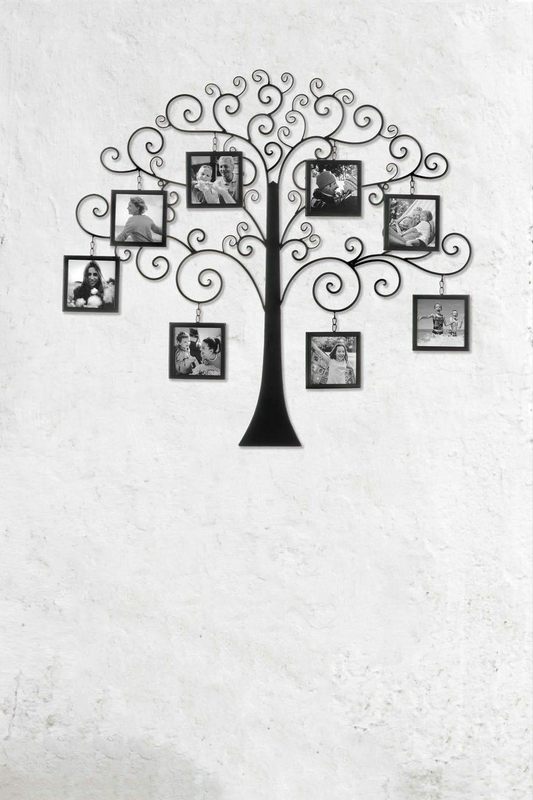 This gorgeous wall hanging features a design with scrolling branches of metal to hold frames with pictures of your loved ones. 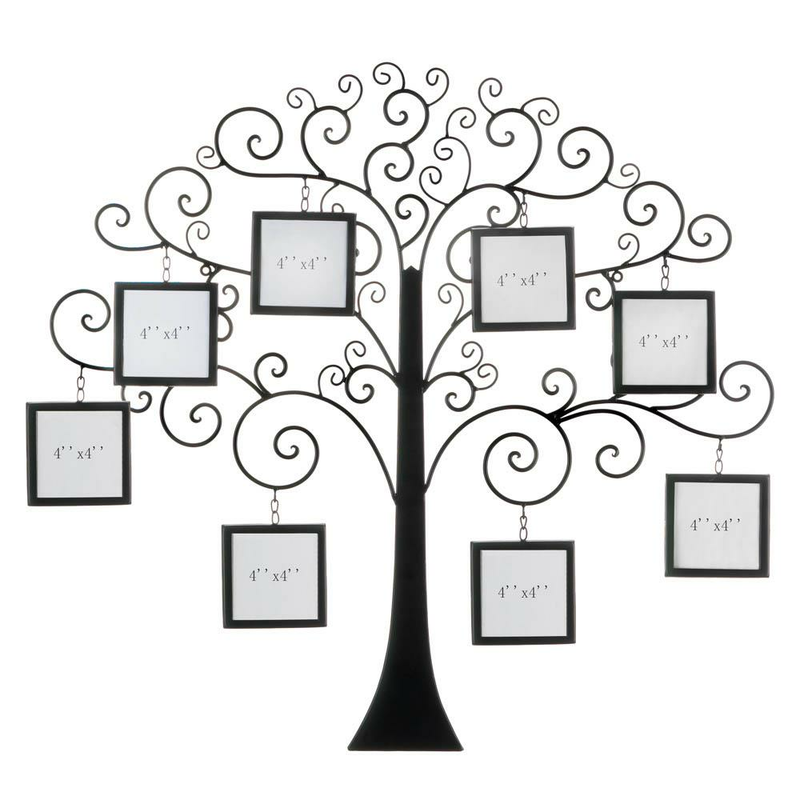 Ideal as an accent piece alongside almost any style decor, from traditional to eclectic. Weight	5 pounds. 31" x 0.5" x 29". Iron, Glass, MDF Wood. 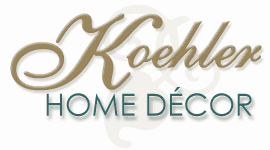 UPC Number: 849179040796.